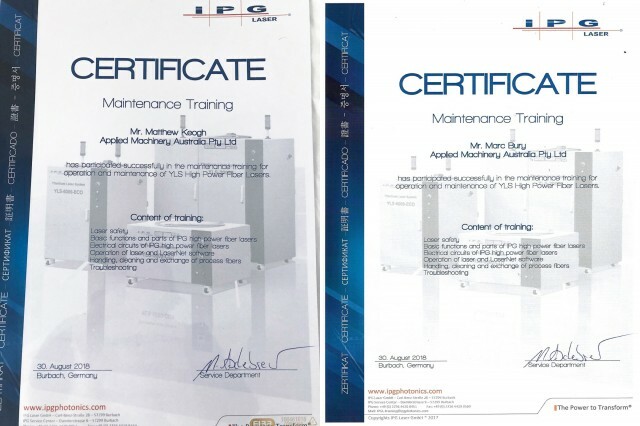 We would like to congratulate our Service Manager, Matt Keogh, and one of our senior Service Engineers, Mark Bury on their recent IPG Certification. 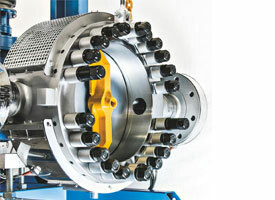 In August, 2018, both Matt and Mark travelled to IPG’s Global Headquarters in Burbach, Germany to undergo factory training to further enhance their knowledge in efficient, effectively maintenance of IPG YLS series high power fiber lasers. 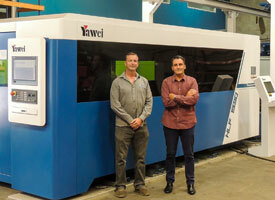 IPG Photonics are the global leaders in fiber laser technology and as such, have partnered with Yawei to deliver their power sources on EVERY Yawei Fiber laser sold in Australia. 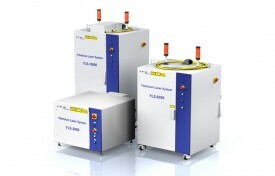 Since their Australian launch in 2017, both the Yawei HLE and Yawei HLF series fiber lasers from Yawei have proven immensely popular in the market and it was a natural progression that we invested in our people to ensure we are equipped to provide an enhanced level of service to our growing fiber laser customer base.